2017 seems to be the year where we all want in on streetwear, collaborations with contemporary artists and that all-round push towards a healthier lifestyle by getting a bit more exercise each week. 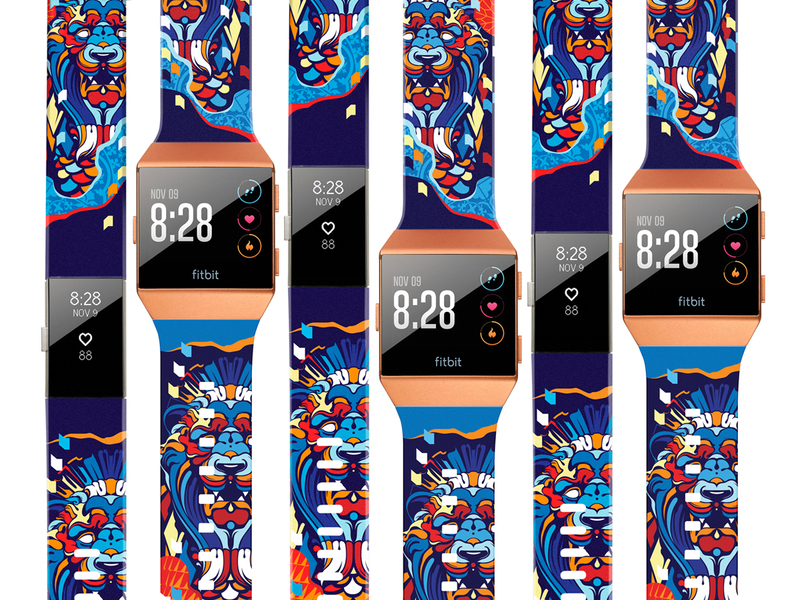 Well, good news guys, UOB Cards has managed to merge all 3 by launching limited edition designer fitness wearables, one that encapsulates L.A. artist’s Tristan Eaton’s artwork onto the new Fitbit Ionic or Fitbit Charge 2’s wrist strap. For those who don’t already know, Tristan Eaton is a street artist famed for his urban pop graffiti that’s contextually layered in bright eye-catching prints. His works are featured prominently worldwide and are even on permanent display at the Museum of Modern Art (MoMA). How do you get your hands on such a limited piece, you ask? Simply spend and charge to your UOB Card from now till 31 December 2017, and you’ll be able to redeem a Fitbit should you hit the minimum spending for the respective tier. 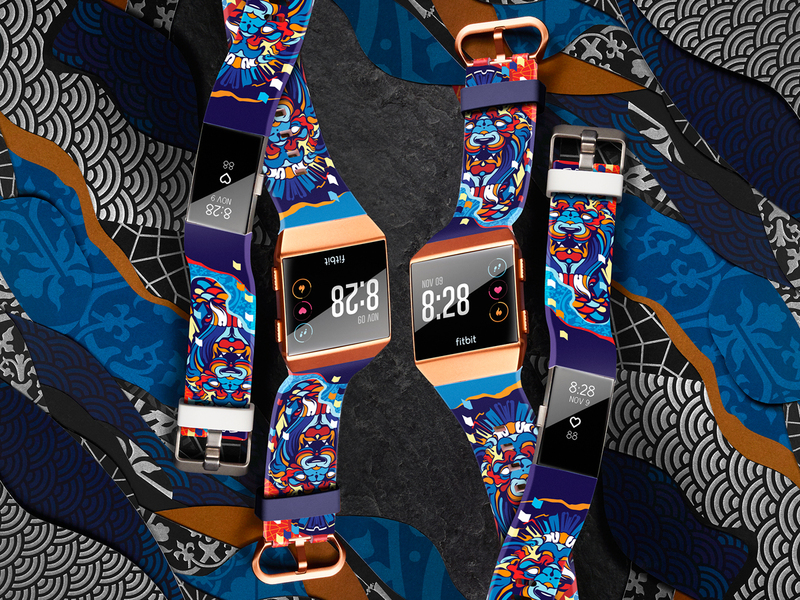 Start by spending SGD3800 and you’ll will be able to redeem a Fitbit Charge 2 that comes with the limited edition wrist strap designed by Tristan Eaton. The Fitbit Charge 2 is equipped with multiple features like a heart rate monitor and a multi-sport tracking function amongst other primary functions like calendar alerts and clock face. As for those who spend a tad more (well, SGD7800, to be specific), you will also have the choice to redeem the all-new Fitbit Ionic, which comes equipped with apps, personalised fitness coaching guidance, and even stores and plays music that you can play on a bluetooth headphone. Available in the Burnt Orange colour that’s exclusive to UOB Cards, it also comes with a wrist strap specially designed by Tristan Eaton for UOB Cards. You can also use Fitbit Pay on the Fitbit Ionic for contactless payments (without your phone! ); all you have to do is link your UOB Card and you’re good to go (click here for more details). Here’s another thing to note: these gorgeous Fitbits are not for sale individually, and will only be made available via redemption from UOB Cards where each cardholder is entitled a choice of either a Fitbit Charge 2 or a Fitbit Ionic (one redemption per cardholder). If, however, you’re not confident of hitting the minimum sum, UOB Cards has launched a Face Tag feature on Facebook’s Camera that allows users to take a ‘selfie’ with Tristan Eaton’s graffiti frame from 17 November 2017. UOB Cards Facebook fans who change their Facebook profile image to said selfie will entitle you a chance win a Fitbit Ionic, so what are you waiting for?